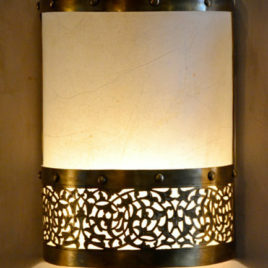 This is a substantial wall bracket made in cast brass. 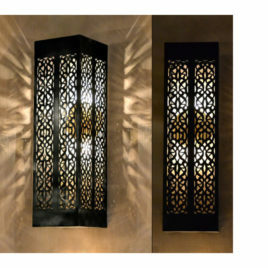 It has a beautiful heavy wall plate. Includes the wall bracket. 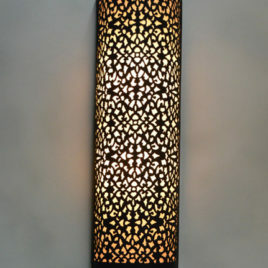 Production: Using a fine blade fretsaw tool, the master artisan follows a fine paper pattern and does the intricate cutting work to make each lamp. 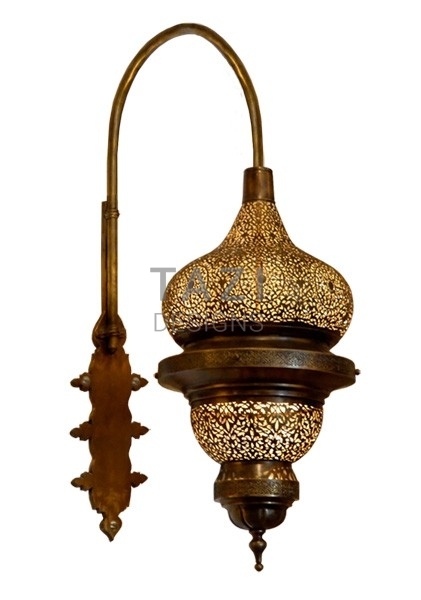 The fretsaw tool, called “serrouj” in Morocco, gives these Moroccan lamps a high level of craftsmanship and beauty not found otherwise in the standard Moroccan lanterns. 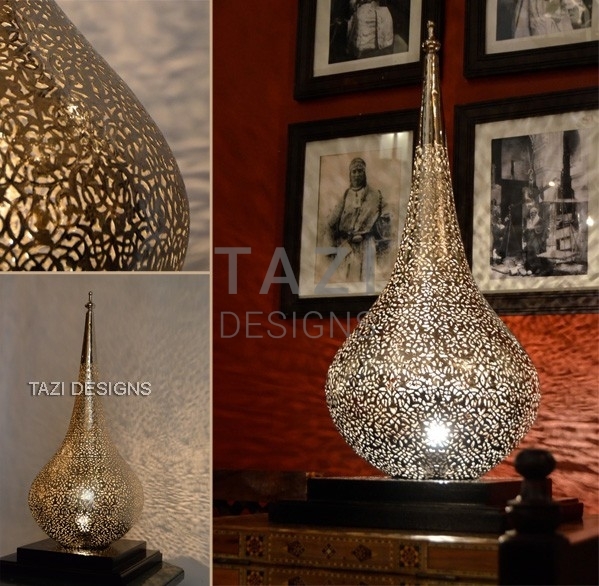 The high quality of these Moroccan lamps is enhanced by hand-engraving over the brass metal giving them added texture and beauty. Shade: 12″D x 24″H. Overall Dimensions: 12″ wide x 37″ high x 22″ deep. 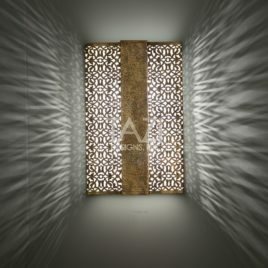 Ashima, an Exclusive Contemporary Moroccan Wall Sconce from Tazi's 2017 collection. Made in Morocco. 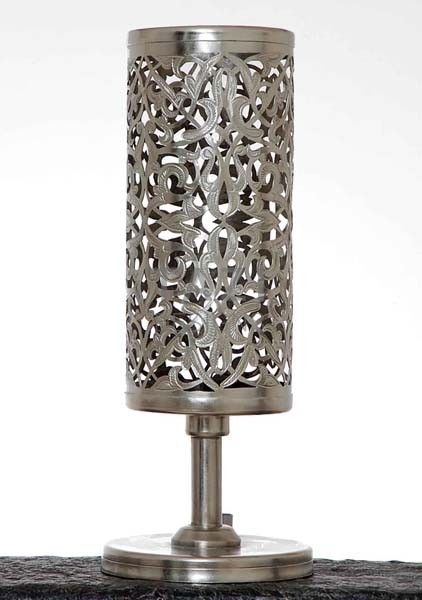 A more streamlined version of our original Indoor Outdoor Wall Sconce, Vine.